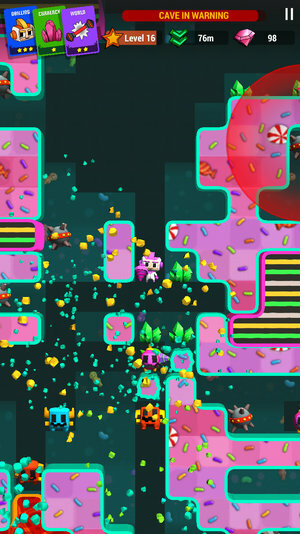 Help Digby set off bombs, dodge cave-ins and evade a colourful cast of foes in Digby Forever - an explosive new endless digger from 3 Sprockets. 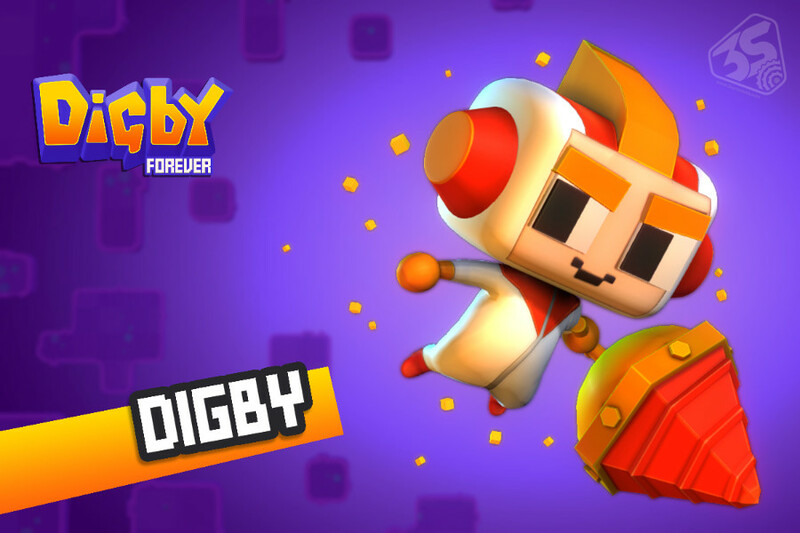 Meet Digby, our hero & chief drill-ologist! Digby loves spandex & dressing up in zany costumes! 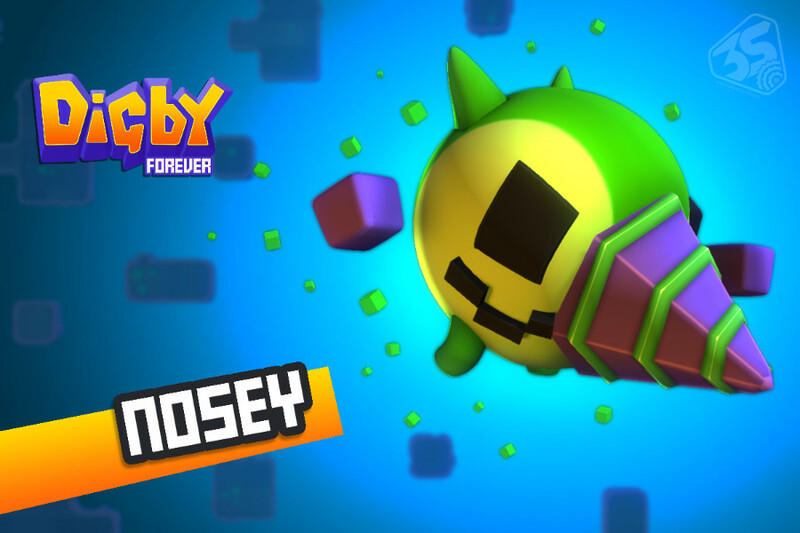 Meet Nosey, the first of our fearful foes! 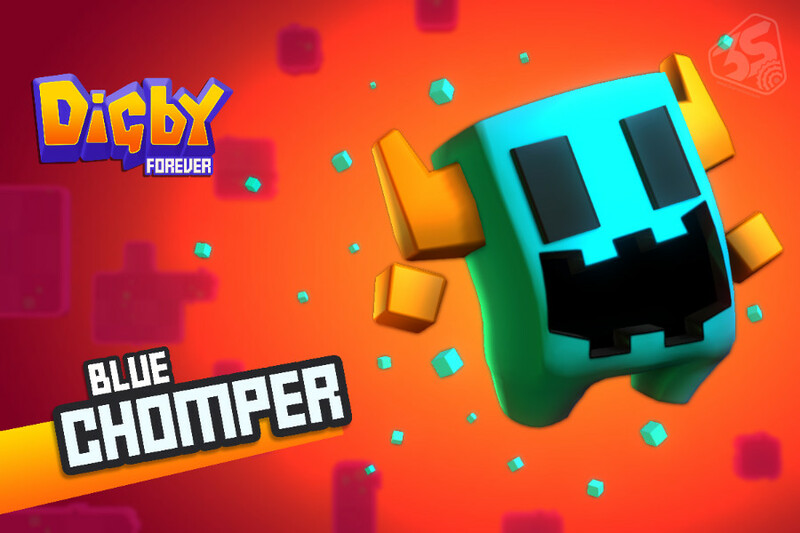 Meet Blue Chomper, our next fearful foe! Blue has an insatiable appetite, but dribbles as he chews! 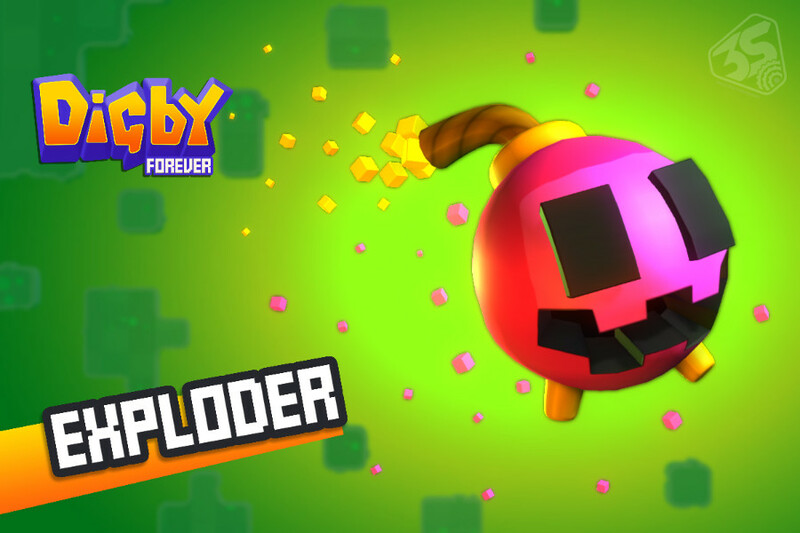 Meet Exploder, our next fearful foe! He has an explosive personality, but a terribly short fuse! 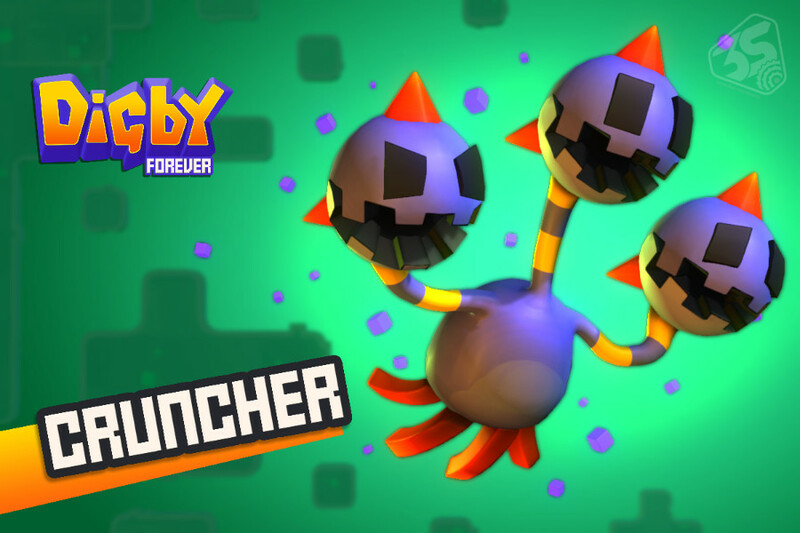 Meet Cruncher, first of our giants! Cruncher's split personality makes him a hit at parties! 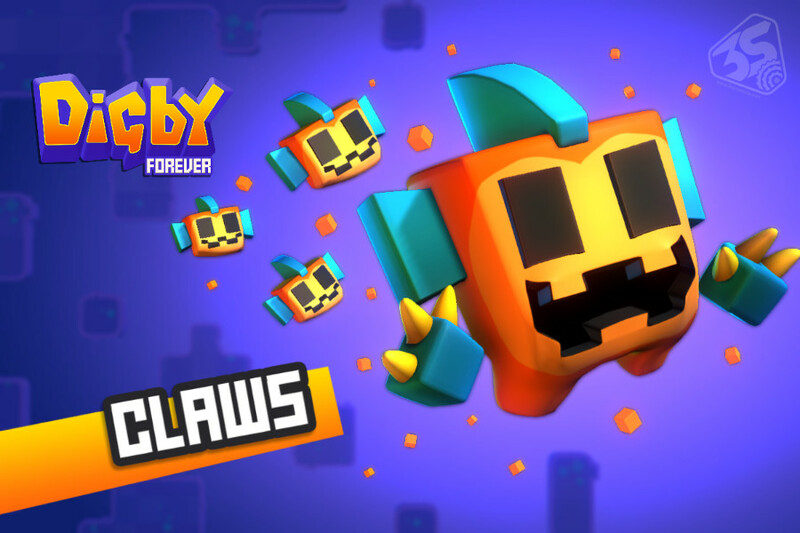 Meet Claws, our next fearful foe! 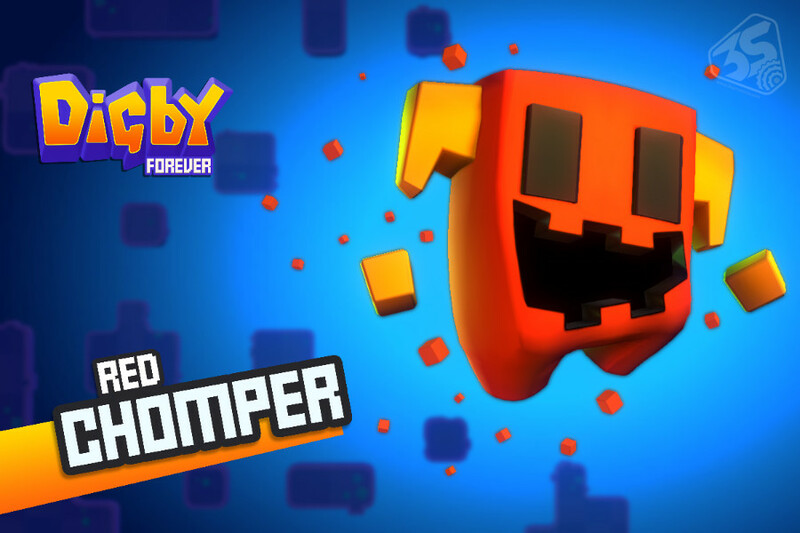 Meet Red Chomper, our next fearful foe! Red has crooked teeth, gastro and a severe case of flatulence! 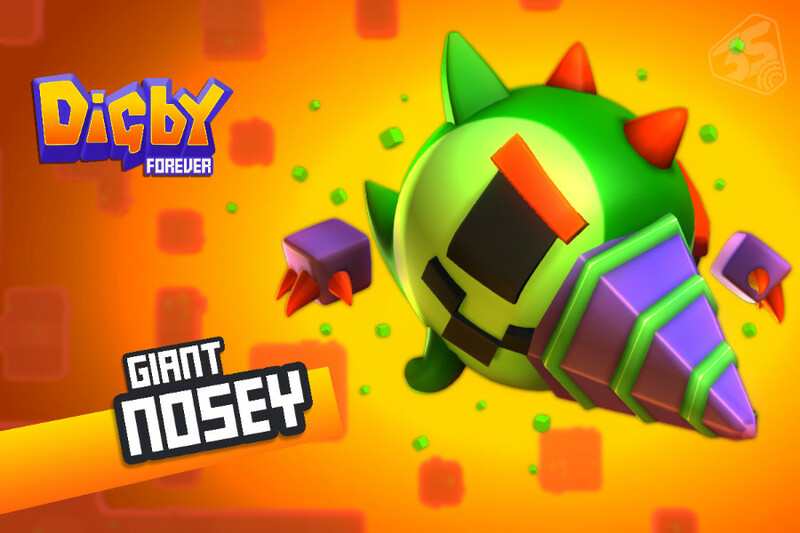 Meet Giant Nosey, our next giant! Giant Nosey is obsessed with his hair-salon dyed spiky mohawk! Meet some of our characters! 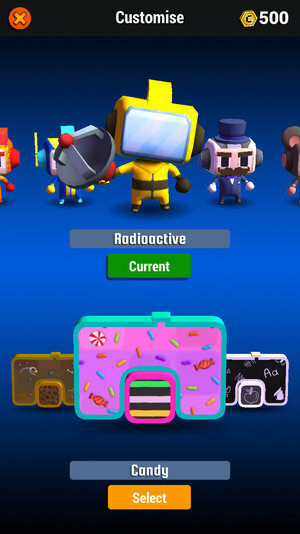 Unlock and play from an amazing cast of characters, with more to be added in every update! More of our amazing cast of characters, with more to be added in every update! A special set of characters that are extra loved by us! Digby Forever, Digby Forever logo and the 3 Sprockets logo are trademarks of 3 Sprockets Pty Ltd.
Digby Forever © Copyright 2017, 2018, 3 Sprockets Pty Ltd, all rights reserved.